Dr Jie Jiang is currently working as a visiting researcher with Dr Mark Hoogendoorn at the Computational Intelligence Group in the computer science department at the Vrije Universiteit Amsterdam. Dr Hoogendoorn has extensive experience of working with sensor-generated data, with particular expertise in applying machine learning in the domains of eHealth and mHealth. Jie is working with Mark’s group until mid-June, and will be researching machine learning methods for activity recognition, energy disaggregation and indoor localisation based on data collected from the HomeSense field trial. With the HomeSense field trial completed, now is an opportunity to share some of the lessons learned on the way to capturing good data. The technical aspects of this methodological trial were crucial to sort out. The learning process (by doing) highlighted some of the limitations of sensor-based technology in capturing socially relevant information, but other methodological issues in designing the trial, including ethical considerations, were equally important to get right. Six months into the HomeSense project, Prof. Nigel Gilbert outlined the “interesting ethics issues” that required attention before the field trial could responsibly get underway in volunteer households. In his presentation, “The Ethics of Sensors” at the 2016 ESRC Research Methods Festival in Bath, Nigel explained the ambition of HomeSense to enable social researchers to use digital sensors alongside self-reported methods and observations. 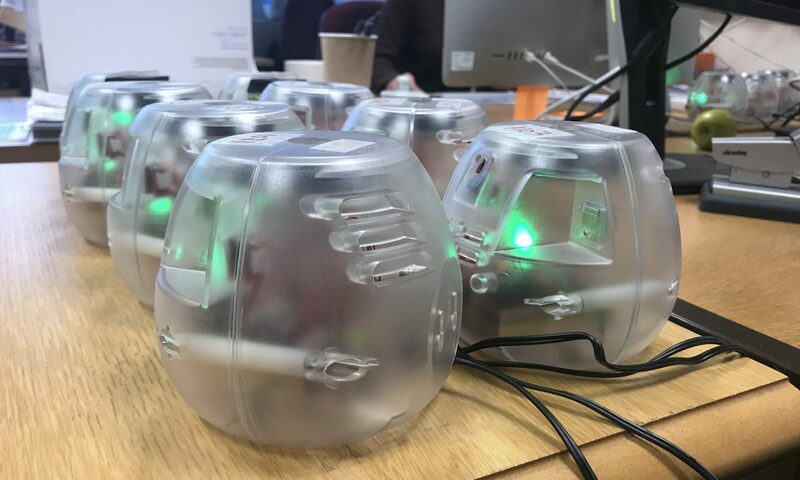 The project is also assessing the extent to which householders might accept sensors in their homes for research, and the final output will be a set of guidelines for use in such studies. The newly announced provisional programme of the ESRC RMF2018 in Bath, 3-5 July, will include sessions themed around the NCRM’s Methodological Innovation Strand. The Sensors in social research session on Tuesday 3 July, at 10:00 to 12:30 will report on a number of sensor-based studies of social life and potentially sensitive settings. HomeSense is a methodological research project focused on the use of digital sensors in social research. One of the key issues is finding meaningful information in sensor-generated data, which was the focus of a paper presented by Jie Jiang at the International Conference on Future Networks and Distributed Systems (ICFNDS’17) in Cambridge in July this year. The paper now published in the conference proceedings, covers data analysis from the early stages of the HomeSense field trial. It reports on applying machine learning methods to interpret sensor-generated data, and discusses a method for identifying features of various types of activity and evaluating the agreement between sensor-generated data and self-reported data from time-use diaries. Since one of the implications of using sensors for social research is that, in due course, activities could be recognised automatically, this study also proposes a method for modelling a range of activities recorded by sensors. The same approach has been continued by the team in an extended version of the study with data from more households, but the publication of the conference paper in the Proceedings of ICFNDS’17 provided an opportunity for some of its authors – Jie Jiang, Riccardo Pozza, Kristrún Gunnarsdóttir – to sit down and discuss the implications of this work, and where it sits within the project as a whole. The extended study, “Using Sensors to Study Home Activities“, is now published in the Journal of Sensors and Actuator Networks 6(4): 32. Journal of Sensors and Actuator Networks 6(4): 32. Jie Jiang to share lessons learned from the HomeSense research strategy UK/Japan workshop in Tokyo. On 7 & 8 September, Jie Jiang will be attending a Joint UK/Japan workshop, titled: “Acceptability and Value of IoT in the Home” at the British Embassy in Tokyo. She’ll present a paper, titled: “Using IoT to study life at home“, sharing the lessons learned from designing, implementing and practising a sensor-based research strategy for the HomeSense field trial. Supported by funding from FCO, EPSRC and the PETRAS Internet of Things Research Hub, the workshop includes presentations intended to illuminate the challenges and provide insights into the acceptability and value of IoT in the context of homes. Many thanks to everyone for their contributions and making the workshop a success ! These expert consultations at the Goodenough Collee in London 20-21 June 2016 brought together a small group of researchers, practitioners and visionaries to discuss the latest developments in the use of sensors for smarter homes, health and lifestyle, how to assess these inventions and how to adapt the use of sensors for social research and adjacent disciplines. See information about workshop delegates, and workshop proceedings.